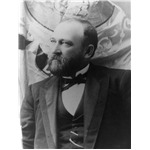 On Nov. 2, 1889, Dakota Territory gave birth to two states – North Dakota and South Dakota – when President Benjamin Harrison signed two statehood proclamations. Before signing, he instructed Secretary of State James Blaine to cover both proclamations under a sheet of paper. President Harrison signed both, and then shuffled them again so that no one, not even President Harrison, knew which proclamation was signed first. Although President Harrison signed South Dakota into statehood, the twin states could not have been created without the passage of the Omnibus Enabling Act on Feb. 22, 1889. After originally opposing statehood for the Dakotas, President Grover Cleveland signed the Enabling Act into law which provided the process whereby six states – South Dakota, North Dakota, Montana, Washington, Wyoming and Idaho – could become states in 1889 and 1890. The most recent state to have entered the Union was Colorado in 1876. 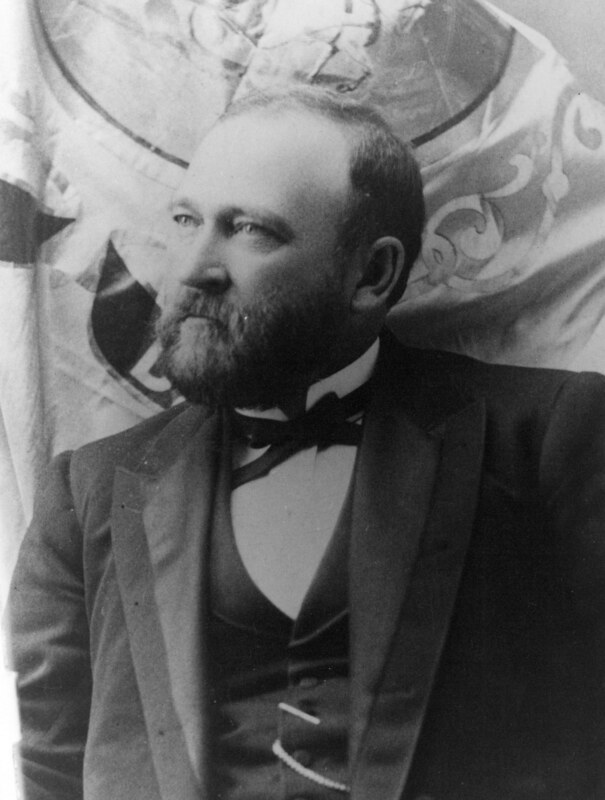 Democrats controlled the U.S. House of Representatives for most of the time between 1876 and 1888, and they didn’t want new western states admitted for fear of them sending Republican senators and representatives to Washington, D. C.
When pro-statehood Benjamin Harrison won the Presidency in November of 1888, the lame duck Democrats passed the Enabling Act so they could get some credit for allowing the new states. The act divided Dakota along the seventh standard parallel and required the equitable division of the territory’s records and debts. It also required that the two new Dakotas set aside public lands for schools, public buildings and facilities. On July 4, 1889, 75 delegates from southern Dakota Territory met in Germania Hall in Sioux Falls and wrote a state constitution for the people to consider. Four years earlier, Congress had rejected a convention that attempted to declare “South Dakota” as a state. The 1889 convention used the earlier constitution as a basis for their new proposal. On Oct. 1, 1889, the people approved the constitution for the new state of South Dakota by a vote of 70,131 to 3,267 and elected Dakota Territory Gov. Arthur Mellette as South Dakota’s first Governor. To assure passage, two controversial issues – prohibition and the selection of a state capital city – were not included in the proposed constitution, but were separate ballot measures. Most Republican leaders were actively or passively for prohibition. The Democrats and the Sioux Falls Argus Leader were against it, claiming it would be a restriction of individual freedom and impossible to enforce. Voters approved prohibition and South Dakota was a “dry” state until prohibition was repealed in 1897. Also on a separate vote, “Peerless Pierre” won the capital designation in 1889, but had to withstand two fierce challenges on the ballot from Huron in 1890 and Mitchell in 1904. Pierre won with expensive advertising campaigns. It took the city over 30 years to pay off its capital city fight debts of almost $500,000. South Dakotans struggled for many years before statehood became a reality. Over 40 bills had been introduced into Congress between 1871 and 1889 concerning statehood and the division of Dakota Territory. They all failed. But, the people persevered. They didn’t quit. When statehood was realized, it didn’t matter to them which proclamation was signed first.